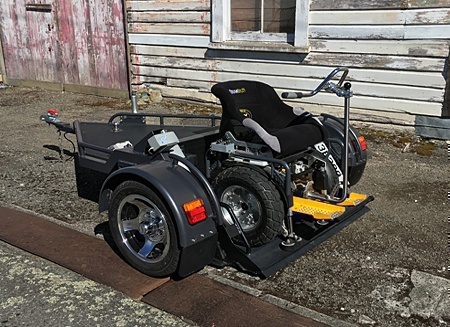 Transport MAX easily with ANY vehicle! 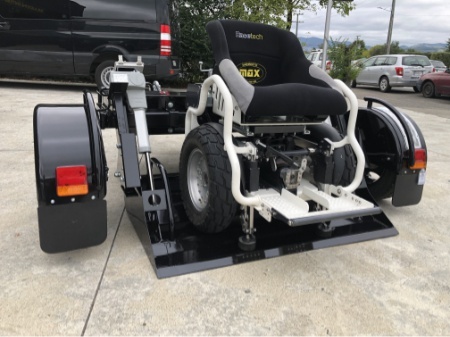 Transport your MAX (or most other powerchairs on special order) easily behind any vehicle with a standard towbar. 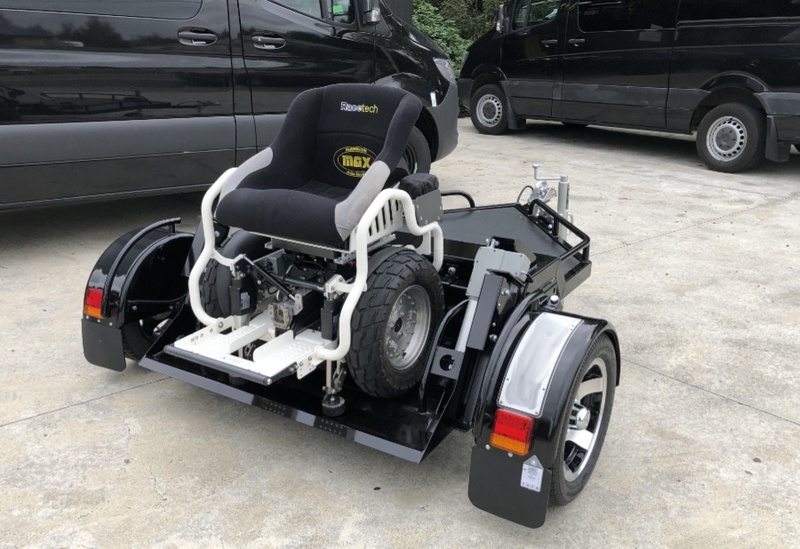 You don't need a dedicated van or other vehicle with lifts or ramps - any family or small car will do. 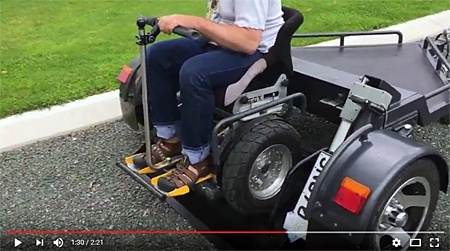 Easily ride your MAX on and off - the platform lowers absolutely flat to ground level. 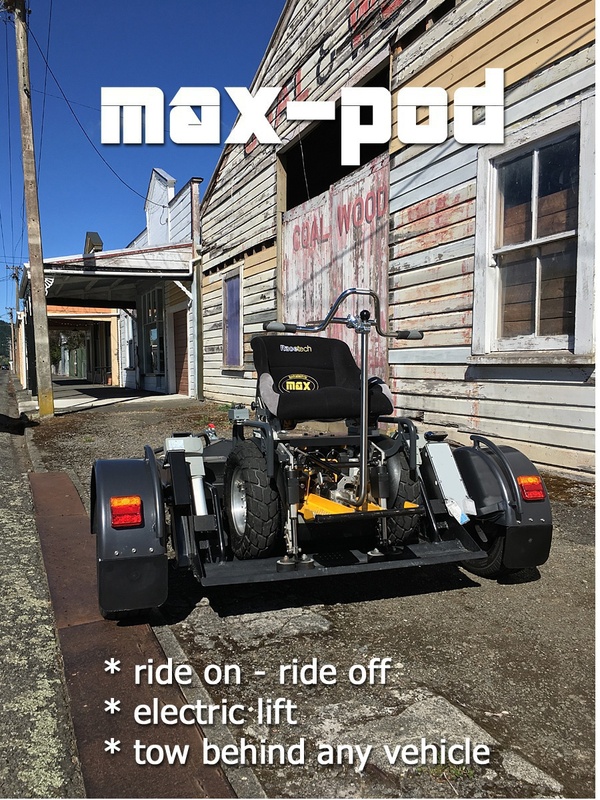 Accepts your MAX with any tires -standard i2, MAX Town & Country, Segway Turf tires, Segway X2 tires. 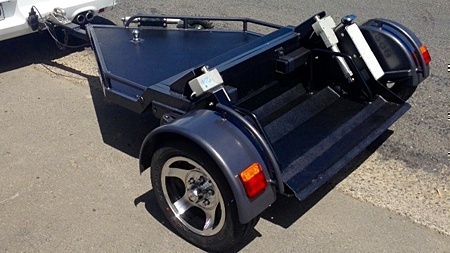 Road Trailer for the bodyelectric MAX cross-terrain personal transporter.